Christian workers must have a clear understanding of the role God plays in evangelism, discipleship and other aspects of ministry. Unless we consciously operate out of a God-centered model of ministry, we will automatically default to a human-centered model, and all the defeat that comes with it. First, we need God’s direction. Notice in these scriptures how people in the early church considered it normal to be guided by the Holy Spirit in ministry. 2 Cor. 10:13 But we will not boast ﻿﻿beyond our measure, but ﻿﻿﻿﻿within the measure of the sphere which God apportioned to us as a measure, to reach even as far as you. These passages give a clear pattern—leaders should come to the scriptures, and to the Lord in prayer seeking to know his will for their ministry. Ministry that goes in a direction other than what God wants may bear some kind of fruit, but the fruit will diminish in quality the further we depart from the leading of the Holy Spirit. Interestingly, God seems willing to continue using ministries that are off-target, apparently because he places a higher value on reaching the lost than on complete fidelity to his leading. Paul observed this phenomenon in Rome. (Phil. 1:15-18) This is probably the meaning of Mark 9:38-40 as well. Even in 1 Corinthians 3, the “wood hay and stubble” may be used by God, but it will not be rewarded. In fact, the Bible abounds with examples where God continued to use leaders who went astray, sometimes very badly. What are we to conclude? On one hand, since it is God’s will to direct our ministries, we should seek that leading often and earnestly. Even though God may continue to use off-target ministries, we assume that we will bear more spiritual fruit the closer we are to God’s ideal. This is increasingly obvious as time goes on. In the short term, human-based ministry may look good, but it tends to deteriorate over time. “Bearing fruit that remains” (Jn. 15:16) is the sign of true God-directed ministry. On the other hand, we should never become paralyzed by the notion that “Unless I know exactly what God wants in each situation, I can’t move forward.” We can move forward based on the general knowledge of what God wants, and in areas we are unsure, we can remain open to any correction in our course that God may want to show us, knowing that he will not let us come to irreversible harm (Phil. 3:15). Very often, God’s leading is only evident after the fact. God’s direction extends not only to major issues like whether to preach the word or to practice church discipline, but to more subjective areas like when someone is ready for leadership, or in whom to invest our discipling time and effort. Teachers have to consult God on what slant to take when teaching a particular text. Evangelists must ask when to make a more direct call on the lost. Leaders must plead for insight as to how much to expect from a particular disciple. All believers need discernment as to Satan’s next move. In all, there are thousands of decisions in ministry requiring divine guidance. Also, we need God’s empowerment. 1 Cor. 2: 2-5 For I determined to know nothing among you except ﻿﻿Jesus Christ, and Him crucified. I was with you in ﻿﻿weakness and in ﻿﻿fear and in much trembling, and my ﻿﻿message and my preaching were ﻿﻿not in persuasive words of wisdom, but in demonstration of ﻿﻿the Spirit and of power, so that your faith would not ﻿﻿rest on the wisdom of men, but on ﻿﻿the power of God. 1 Cor. 4: 19 But I ﻿﻿will come to you soon, ﻿﻿if the Lord wills, and I shall find out, not the ﻿﻿words of those who are ﻿﻿arrogant but their power. 20 For the kingdom of God does ﻿﻿not consist in ﻿﻿words but in power. 2 Cor. 2: 14 But thanks be to God, who always ﻿﻿leads us in triumph in Christ, and manifests through us the ﻿﻿sweet aroma of the ﻿﻿knowledge of Him in every place. 15 For we are a ﻿﻿fragrance of Christ to God among ﻿﻿those who are being saved and among those who are perishing; 16 to the one an aroma from death to death, to the other an aroma from life to life. And who is ﻿﻿adequate for these things? Jesus’ declaration that “apart from me you can do nothing,” is again a figure of speech. He doesn’t mean we can do nothing at all, but that we can do nothing of spiritual value apart from him. As Christian leaders, we realize that we depend absolutely on God for power to accomplish spiritual work. Conviction. We can preach truth, but we depend on God to convict people’s hearts to follow the truth. Apart from spiritual conviction, people will listen to the truth with passive curiosity. This is likely the power Paul referred to in 1 Cor. 4:19,20. Filling Christian meetings with spiritual power. Paul asks his friends to pray that he be “given utterance” when preaching. (Eph. 6:19) He knew that preaching must be anointed by the Holy Spirit in order to be effective. Although no real ministry will go forward without the power of God, we should not deny the human part in this process, which would be super-spirituality. Paul declares that he and the other apostles are “God’s fellow workers.” (1 Cor. 3:9) Yes, “neither he who plants nor he who reaps are anything but God who causes the growth.” (vs. 7) But this is a figure of speech meaning that compared to God, the planter and reaper are nothing. We should not understand this hyperbole literalistically. Do we really think that everything would have come out the same even if Paul had never gone to Corinth to plant? We hold that his planting did make a difference, and Paul is arguing this as well. Otherwise, the whole chapter in 1 Corinthians 3 would be pointless and absurd. An honest reading of the Bible reveals a strong doctrine of human agency in ministry. In Romans 10 Paul asks, “How then will they call on Him in whom they have not believed? How will they believe in Him whom they have not heard? And how will they hear without a preacher? (v. 14). This series of questions implies that without a preacher few, if any, will be saved. All the passages like the great commission, or the parable of the talents, or the parable of minas stress the importance of human agency. God has elected to work though human beings, and therefore our actions are important. In general, God’s role in ministry is similar to His role in personal sanctification. In both, God supplies the power to bear fruit. And in both, we are to act in accordance with God’s will with complete dependence upon Him to perform His work through us. Failure to understand or believe in God’s role in ministry will always have negative results. These results include arrogance during “in season” times, as well as panic, pushiness and discouragement during “out of season” times. On the other hand, reliance on God’s role in ministry will promote thankful humility during “in season” times, and stable perseverance during “out of season” times. Those who depend on God’s part have confidence in God’s adequacy through us. Consider the likely effect that a proper outlook in the area of God’s role will have in each of the following areas. On a three column grid, describe the outlook and actions of the human effort minister on the left, the God-centered minister in the middle, and the reason for the difference on the right. Less fear of rejection because we know they are not rejecting us, but God. Unlike the man-centered witnesser, we realize God must quicken people’s hearts, and if they don’t respond, there is nothing we can do about it. Less tendency to push because human or social pressure would not result in conversion anyway. The God-centered minister learns to wait on the power of God. No fear of sin. Instead of reacting out of fear that sin will ruin our church, the God-centered minister has a settled confidence that Christ will build his church. We become free to discipline sin for the good of the sinner. No doubting of God’s ability to change lives. Man-centered ministers are tempted to become fatalistic about those in chronic sin, thinking “they’ll never change.” The God-centered minister knows God’s power is great. Less apt to try to force people. Again, human pressure is not an adequate motivation for permanent and real spiritual change. While the Bible does prescribe pressure in certain extreme situations, God-centered leaders are less prone to jumping to this conclusion. More patience. Human-based ministers lose patience because they are waiting on fallen humans to change, rather than waiting on God to bring change. More boldness and confidence. God-centered teachers and preachers know that God infuses our utterances with power, and that it is his will to bless the church. Instead of relying on self-confidence, which often withers, these rely on God-confidence which is reliable. More tendency to pray against the evil one. The God-centered speaker knows that each talk is a spiritual battle that must be fought with the weapons of righteousness. More tendency to look for signs of spiritual gifting. Instead of forcing everyone into the same mold, the God-centered discipler tries to get in line with what God wants to do with particular lives. They realize that God’s gifting of individuals is an indication of his will for their lives. More emphasis on discernment, and less on program. The key becomes recognizing what God is doing, rather than having the ultimate method that can’t fail. More relaxation, leading to more trust from disciples. Since the God-centered minister sees himself as a facilitator of God’s development of another’s life, people sense that they aren’t being made to follow the discipler’s will, but that both are trying to follow God’s will. Less likelihood of bossing. God-centered disciplers know that convictions to follow the Lord must come from within disciples as they respond to the Holy Spirit. Change that results from external pressure would be pseudo-change. Easier to admit problems in the church. Unlike the human-based leader, who is ego involved with the well-being of the church, the God-centered ministry has no reason to avoid looking at bad news. Easier to avoid pessimism. At the same time, God-centered leaders don’t become negative, because they know God has the power to handle even severe problems. More inclination to raise up others – less need to “hog the ball.” Human-centered leaders secretly think their own competence is the key to the success of the church. Since they interpret the growth of the church in terms of cause and effect on the natural level, it makes no sense to have a less-experienced, less competent new leader speak and lead. The result is a man-centered ministry, where the significant public roles are always filled by the great man. More time and effort devoted to prayer. The God-centered minister knows that only God can build the church, and that every advance requires his power. It would be pointless to formulate plans, exert effort, take risks, or spend money on a ministry project that is not God’s will. Any such project is doomed to fail, no matter how much outward “fruit” it appears to bear. Leaders who understand God’s part in leadership become more watchful, and less forceful. They realize the futility of sociologically-based change (changing because of group pressure) and instead realize that the key to successful ministry is finding out what God is doing. Then the leader can cooperate with God’s direction and often maximize results. Leaders who see their roles as God does are less shattered by failure and less elated by success. Years of serving God as leaders teach them that what appears a great success is often not as great as people think, and what seems like failure may not be as bad as supposed. In the face of failure, God always seems to find a way through eventually. At the same time, nothing is ever as easy as we thought it would be. Leaders under a God empowerment paradigm are not afraid of losing their ministries. This would never happen unless God willed it. This leads to increased boldness. The nightmare of presiding over a huge, carnally motivated ministry may haunt Christian leaders, while leading a small flock in the true power of the Spirit seems increasingly appealing. Of course, a spiritual leader will go where God calls him or her, whether to large or small flocks. While techniques and scholarship can be increasingly mastered in our lives, discerning the hand of God in leadership never gets all that easy. As a result, long-time leaders develop an increasingly careful and circumspective approach when deciding on direction, while carnally motivated leaders tend to become “know-it-alls.” Of course, all good leaders know how to move strongly and decisively once God’s direction has been discerned. Many more examples could be cited. This perspective affects every area of ministry. As in personal sanctification, learning to rely on God’s power instead of our own power is a process which takes time. No leader can claim to have this area down completely. Below are some passages dealing with the area of God’s part in ministry. 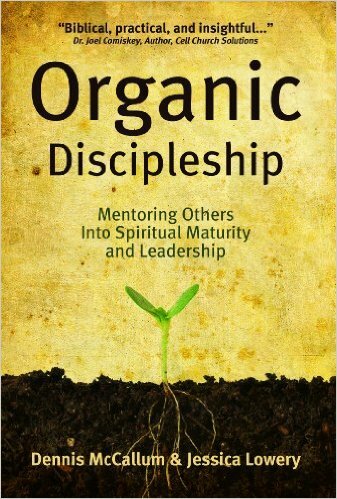 Read each of the passages and distill what they teach about God’s part in ministry. Pick out half a dozen of your favorites to memorize.